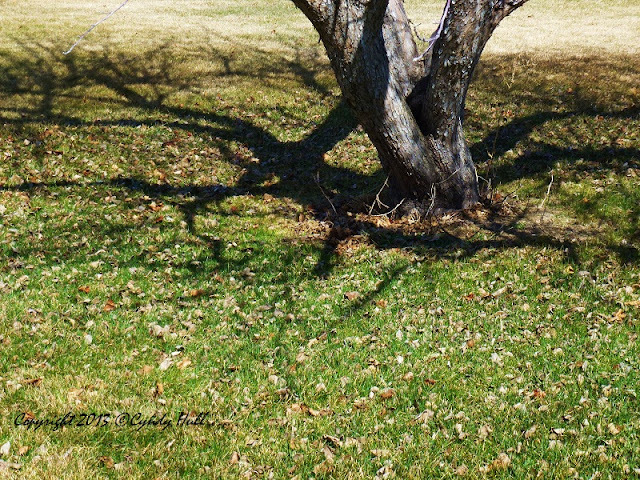 Instead of a moon shadow, here’s a tree shadow. Wait - don’t try to change the words of the song - just don’t! Not even in your head! It doesn't have the same smooth flow, and it provides absolutely no improvement on the original. This personalizing of lyrics is actually a semi-pet peeve of mine - “semi-” because it doesn’t pop over to visit every single day, much like my cat, who often appears to be peeved. I think the most virulent offense of this nature occurs when otherwise bona fide bands sub “Montana” in for “Alabama” . Yes, the skies are so blue here, too, but beyond that, there‘s no way you can confuse “the Southland“ with a state bordering the Great White North. I say, just enjoy the words as penned and call it good. Or even call it great, as in, "That's a great song! ", which is often said of “Sweet Home Alabama”, that generation-bridging song that gets pretty much everyone singing along!